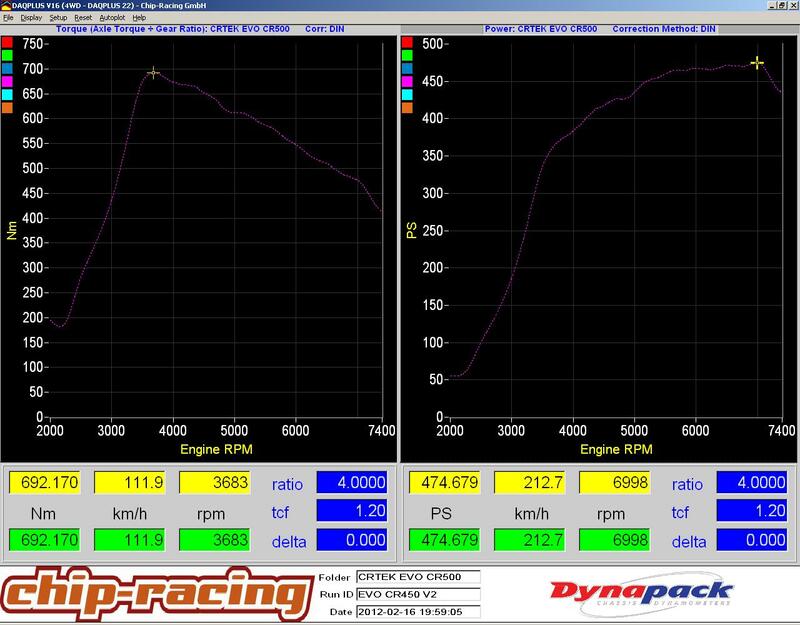 Imagine: A turbo which spools like your stock turbo but provides enough air for 470hp. That would be awesome, right? 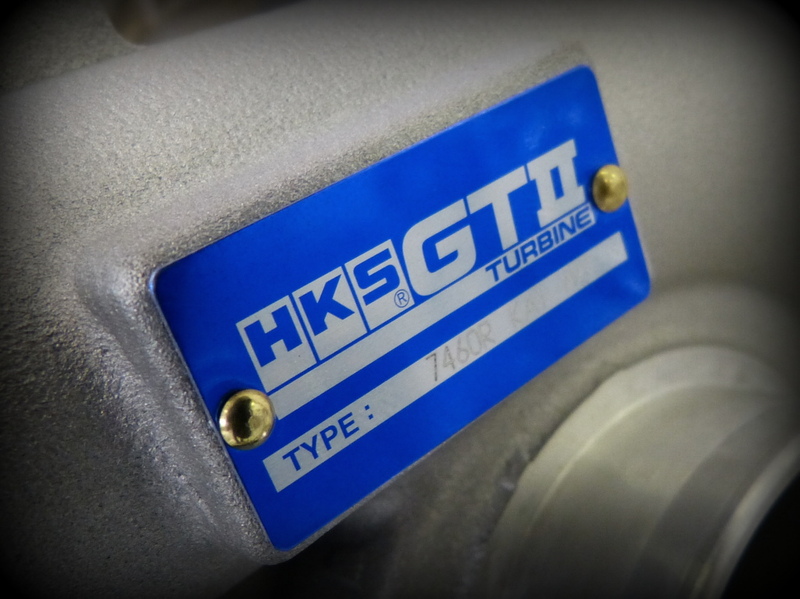 Well, that’s exactly what HKS promises with their new GTII Kai turbine. 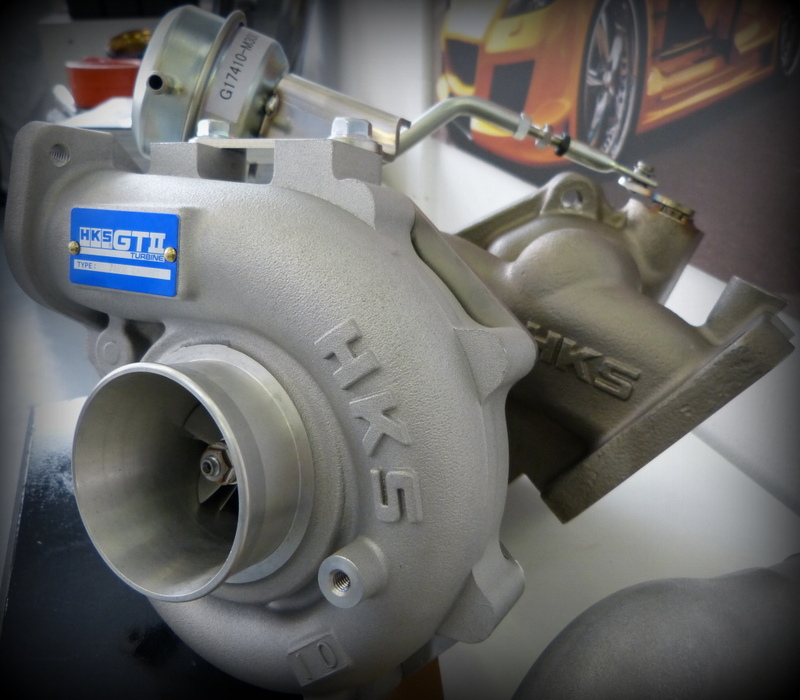 As usual here at Chip-Racing, we don’t always believe what we read so there was no other way for us than order some HKS turbos and test it! Our test car was our well known Evo IX. Surely the result isn’t 1:1 comparable to a stock 4G63 powered Evo, but it gives an idea how the 7460R KAI performs. We will test a pretty much stock Evo X and a EJ25 powered Subaru STI with the HKS GTII in the near future! 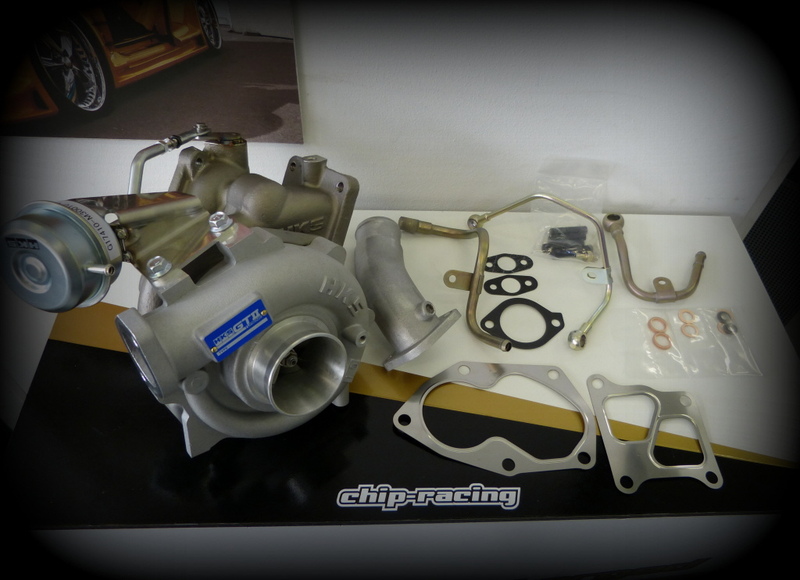 The HKS Kit looked amazing as we opened the box, the turbo itself looks like real quality, just like we know it from HKS! All the necessary hardware, gaskets, oil-lines etc. is included. The GTII fits perfect without any hassle, only the stock lower heat-shield won’t fit anymore due to the bigger sized turbo. Time for the first start-up. As soon as the car rolled out of the Chip-Racing Workshop we noticed something: This badboy already starts to spool on our 2.2 liter Evo…when parking! You can hear the turbo whistling at around 1500rpm. That was the point we really got exited and couldn’t wait any longer to strap it onto our Dynapack! After just a few pulls it was clearly to see that the new HKS GTII has quiet a big potential! Just to name the numbers: 474hp, 692Nm. Our testcar’s specs can be found here. We here at Chip-Racing absolutly love the new HKS GTII! After a Testdrive it was even clearer: this turbo transforms your evo into the ultimate response machine, the torque from low rpm’s and the high rpm power makes this thing fly! We highly recommend the HKS GTII to anyone who wants to attack mountain passes, the autobahn, the racetrack..pretty much for any application up to 470hp!